Designed with children ages 4-8 in mind, these two-hour workshops are an opportunity for young children and their grown-ups to share ideas and create art together. All children must be accompanied by an adult. These free workshops require registration. 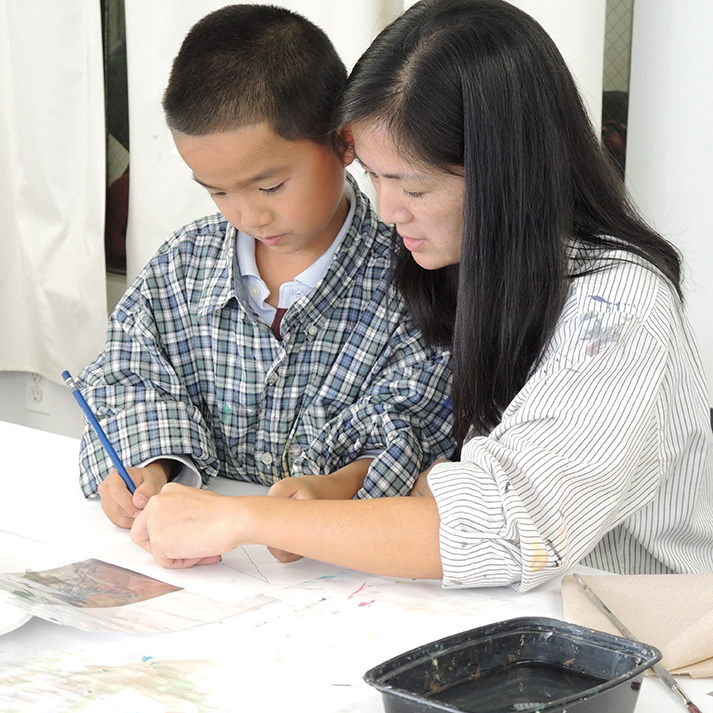 Goal: To create an environment for Sunset Park families to confidently support the exploration and development of young children through meaningful art-making experiences. - Listening to and affirming observations made by other adults and children with the understanding that there is a diversity of experience and confidence with art in each workshop.